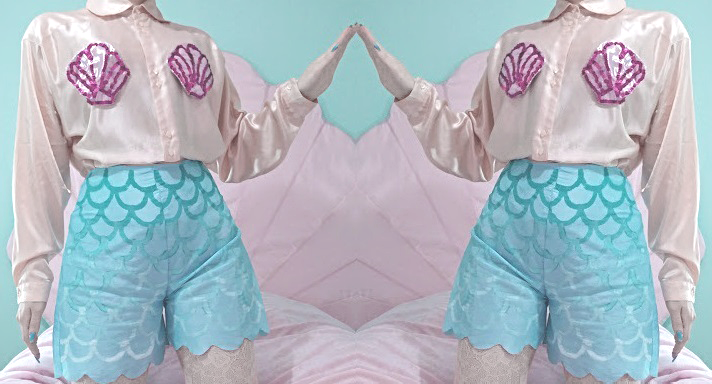 Remember this DIY: Mermaid? Well being rather impromptu, I decided to revamp the look! For the top half I almost decided to start completely from scratch, but settled on keeping the seashells as they were for this look. So, to make the seashells versatile I used a seam ripper to removed the seashells from the original tee. I now affixed pins to the back so that I may pin them in place on to any shirt of my liking. For this particular look, I choose to pair the ensemble with a peachy silk button-up blouse. 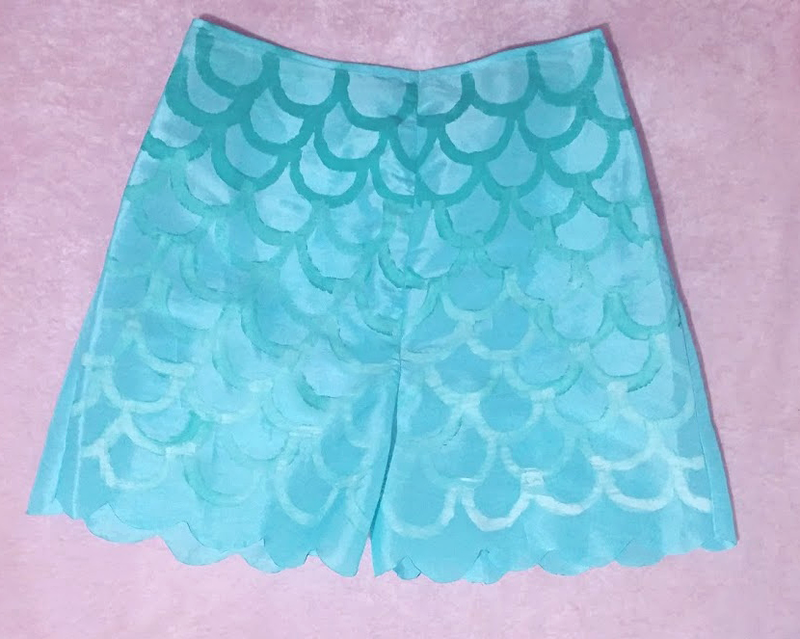 As for the bottom half, I converted the original skirt into shorts. I drafted a scallop pattern by drawing consecutive circles onto a strip of card stock, which I then traced onto the fabric. 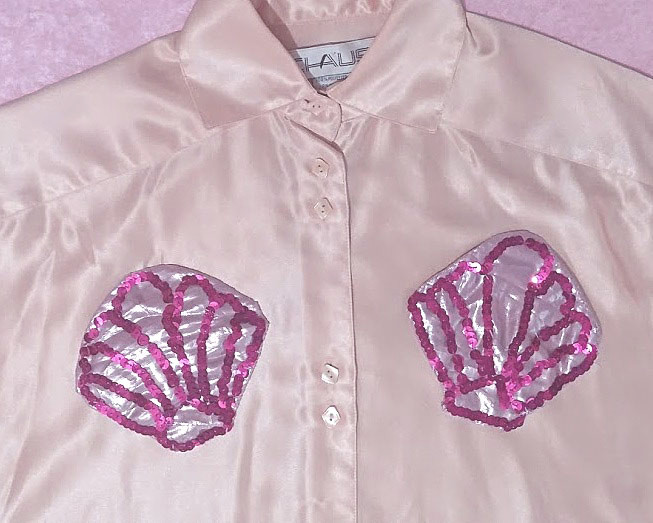 The material is a polyester blend, so I simply singed the scallops to prevent them from fraying. Afterward I cut the skirt down the middle, while preserving the back zipper, and pinned them into shorts. Then baste stitched and put them on to see how they fit. Initially, they were too loose so I kept bringing them in until they fit just right. That's it! This is so adorable! love how you could actually wear both the shorts and top separately too. SO CUTE! aww, I really like these two! This is such a romantic look.